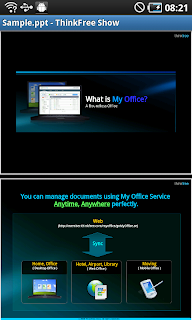 One more reliable office documents application that you are trying to appropriate other than ms office android is ThinkFree Office.ThinkFree Office is an android document processing application either view or edit office files like ms word, ms excel, ms power point and PDF. When editing a word file, you can implement just the basic formatting like bold or italic.You can select, cut, and paste text, as well as changing the font size and color or change the text alignment.You can also can create a PowerPoint file with images very easily. 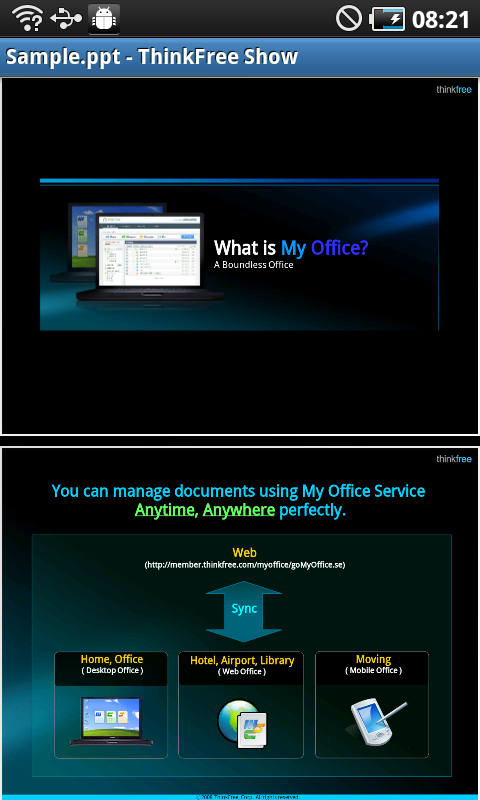 -Send document by email & Save email attachments. Mobile development experts are providing complete, Android Development Company professional and amazing mobile programming and application solutions to their clients over the world.